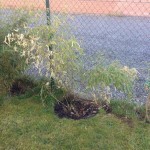 There are several reasons thinkable why you would want to divide your bamboo. 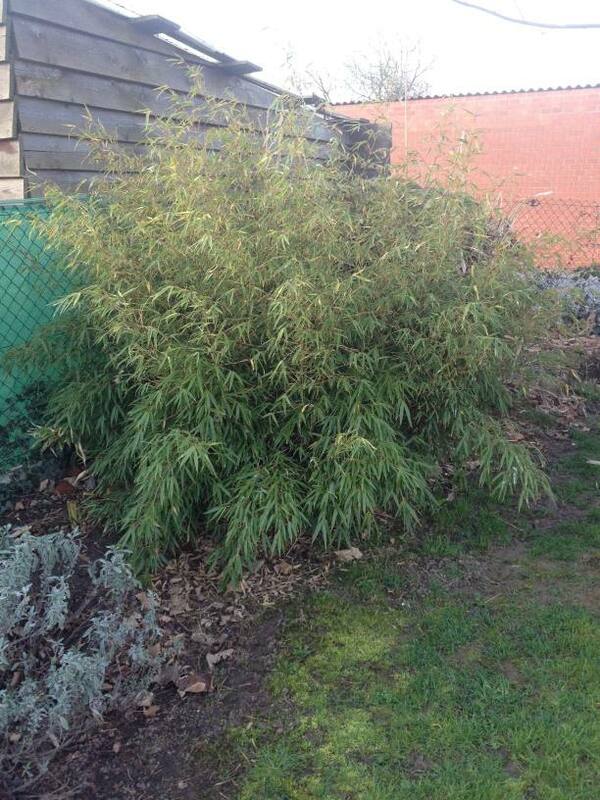 Perhaps your plant is becoming simply to big for your garden or you want to multiply the bamboo in a easy way. 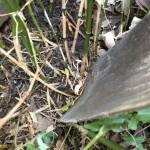 In this article, we describe step by step how to proceed when you want to multiply your bamboo. These instructions are applicable to any bamboo species! 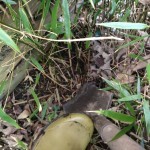 In principle, you can divide bamboo all year long, but early spring (February-March) is preferable. 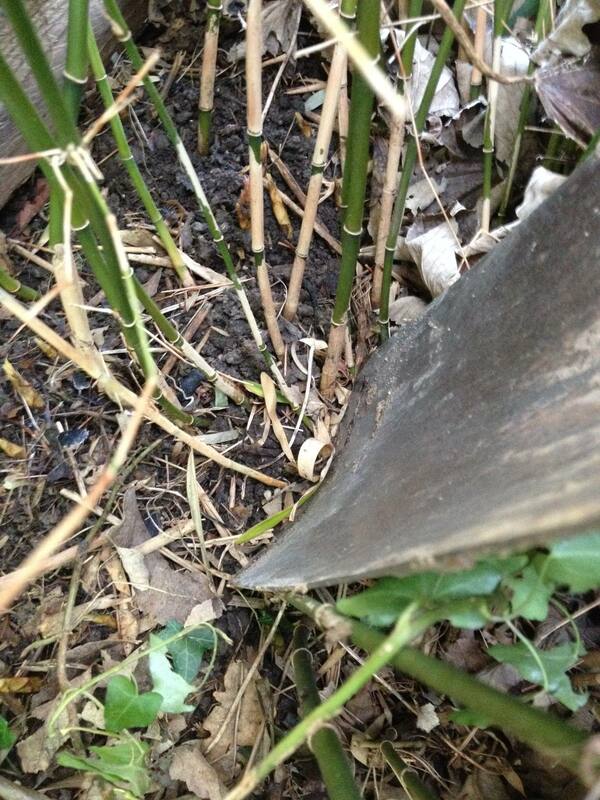 At that moment of the year there are not many new shoots yet and the bamboo can shoot directly on its new spot. First of all, make sure you have a solid spade. 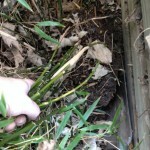 Bamboo roots (rhizomes) are very tough. Therefore, they can be quite difficult to cut off. A sharp, solid spade eases the work somewhat. Also, remember that you do not force the spade when digging out. You would not be the first to break your spade in half. 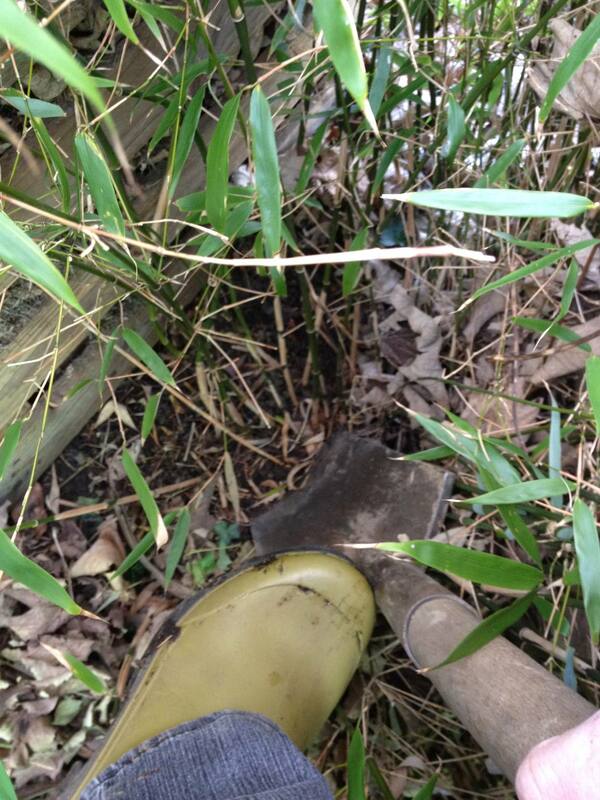 Look around the bamboo grove for some easy to acces culms. 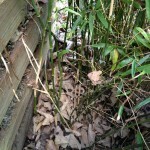 This way you can divide the bamboo without damaging the grove itself. 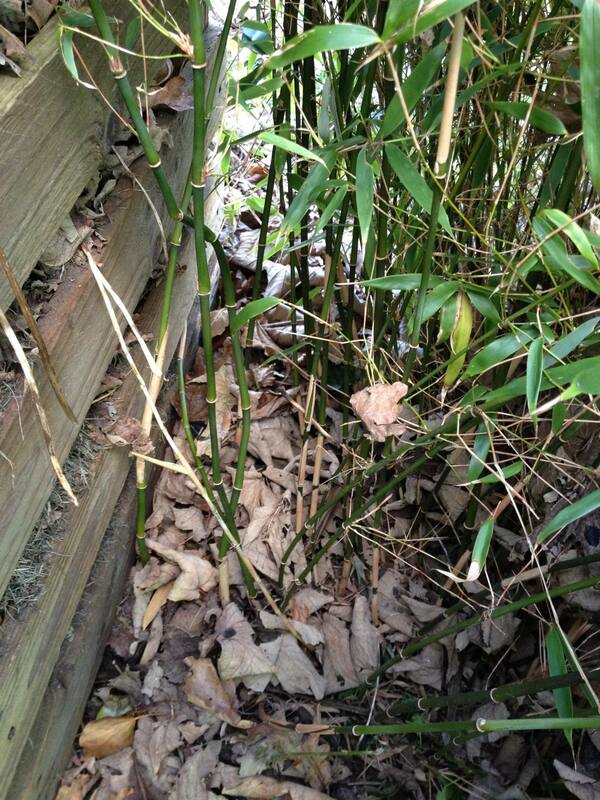 Try to push all the other bamboo canes aside a little bit to move around freely. Some help can come in handy here. 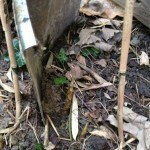 Carefully place the spade between the isolated culms and the other canes. Do not start directly in the middle which would be to solid to cut through, but instead place the spade all the way to the side to cut of bit by bit. Push the spade into the ground firmly with one foot. You should feel the resistance of the rhizomes. Pull the spade out, move it only a couple of inches side wards and push it back in the ground to cut the next bit of rhizomes. Continue this way processing slowly inch by inch in a circle all way around the selected culms to cut of all the rhizomes. When the spade can not be pushed down due to too much resistance, move back aside some inches to cut a smaller part and try to spread the resistance more. 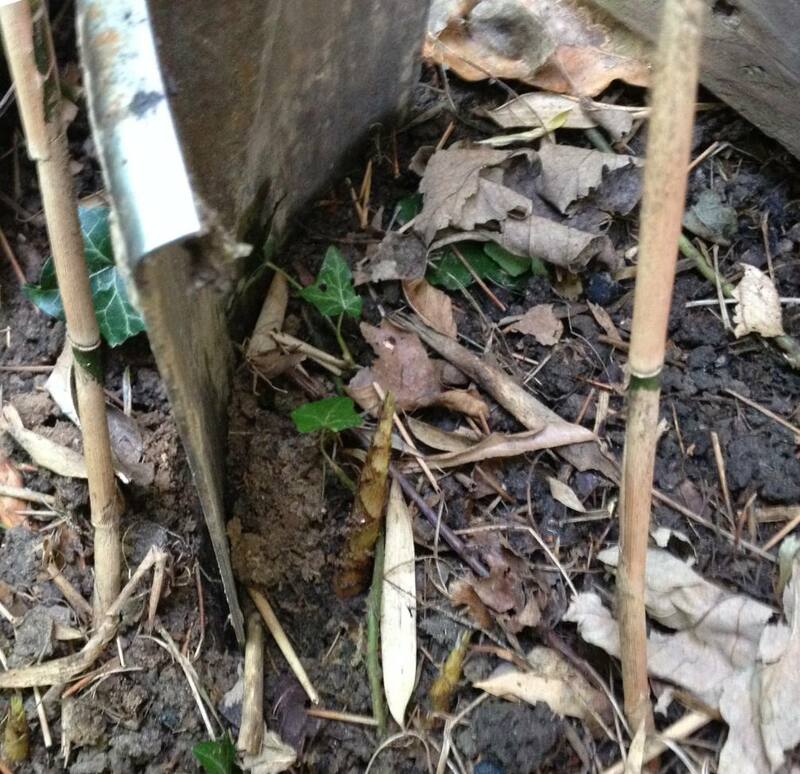 Do not use the spade to chop of the rhizomes, you’ll only risk breaking the culms! Once you have cut off all the rhizomes all way round, take all these canes together to pull while continuing digging around. 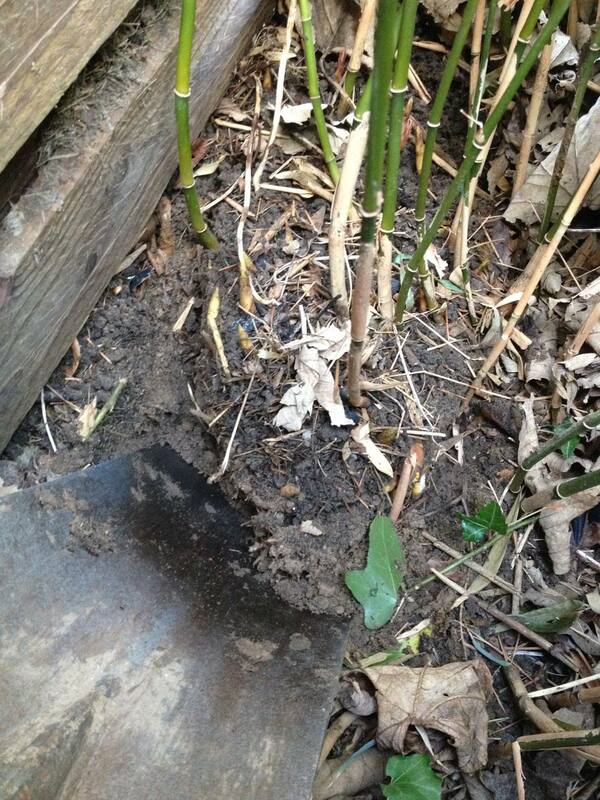 Push your spade slightly to try to lift the divided culms without breaking your spade of course! 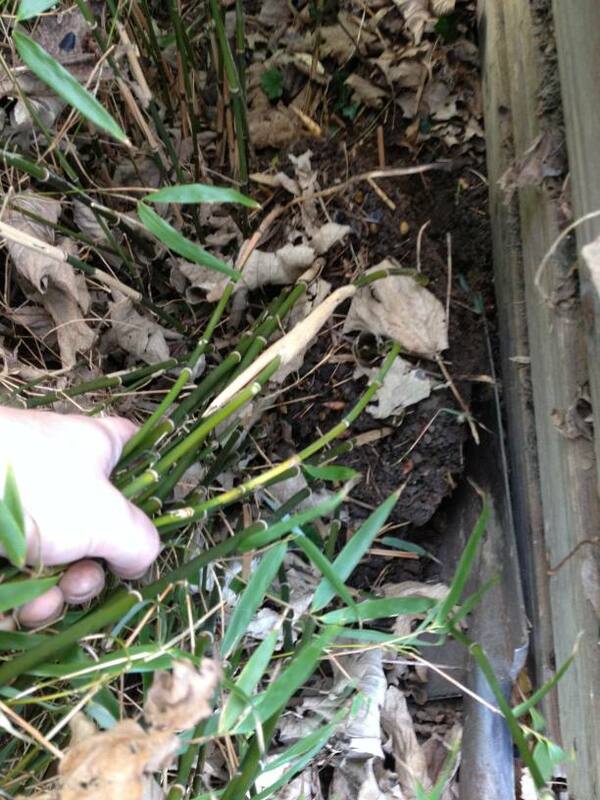 After a while of pulling, pushing and digging the culms should come loose. Plant this new grove on its new spot as soon as possible. A few hours can be bridged, but obviously, avoid leaving it for hours in your car in full sun to ensure that the bamboo does not dry out. 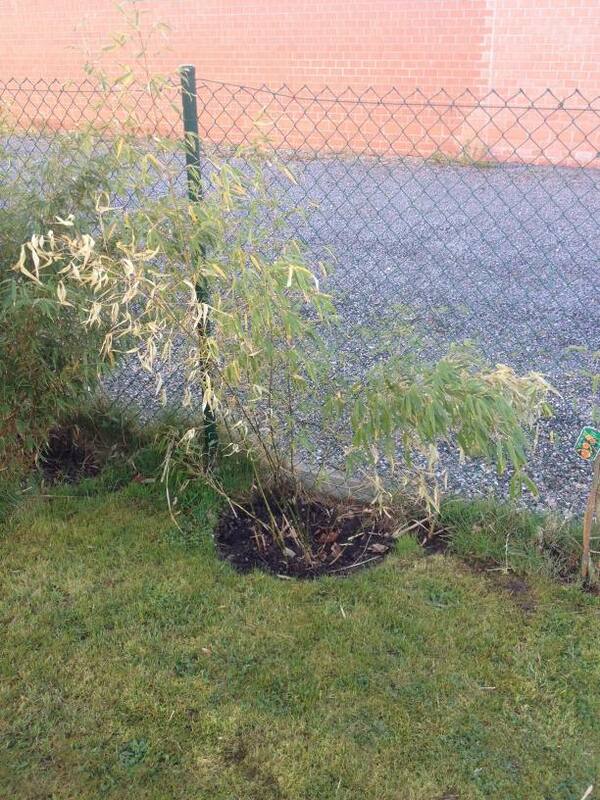 Generally, bamboo is not so demanding for soil type. However, it is useful to provide a plant hole in advance. In this way, the new pole can be planted as soon as possible. 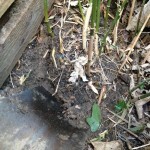 Fill the plant hole with a rich soil and provide enough water. Bamboo needs lots of water, especially after dividing. Water regularly depending on your local weather conditions. The soil must not dry out completely. Even more water is needed if the grove is planted in a container. Do not panic if the leaves are drying out and start falling of. Some foliage drop out is completely normal after this kind of intervention.